Unit operations are the basic building blocks of process industries. 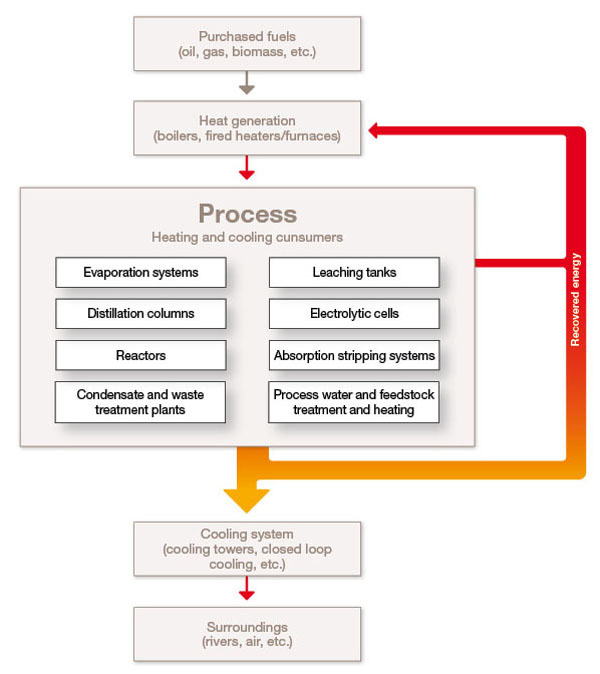 The conditions and media vary, but the operating principles and several typical heat transfer services within these process systems are the same. This section presents the results of five in-depth profitability analyses from five different industries. One or more of the heat transfer services in the five cases are found in most process plants and the results can be applied to many industries. When calculating a cost-optimized heat recovery level, people often use data for inefficient shell-and-tube heat exchangers. Since cost is higher and output is lower for shell-and-tubes than for compact heat exchangers, the calculations are often misleading, resulting in unnecessary losses of energy and profitability. The studies in this section all examine the profitability when using compact heat exchangers – the most efficient technology.